For READING and PHONICS, Key Stage 1 are currently using the schemes: Read Write, Inc., No Nonsense Spelling and the new curriculum. 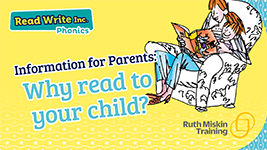 Please click here for information on how to support your child when practising the sounds found in Read Write Inc Phonics at home. You will find a series of information and tutorial videos explaining the basics of Read Write Inc. Phonics. If your child is learning to read with our programme, these videos will help you support them at home. At Brighstone, we believe that the ability to read is fundamental to pupils’ development as independent learners, during their time at school and beyond. Reading is central to our ability to understand, interpret and communicate with each other and the world around us. Success in reading has a direct effect upon progress in all areas of the curriculum; therefore reading is given a high priority at Brighstone Primary School, enabling the children to become enthusiastic, independent and reflective readers across a wide range and types of literature, including different text types and genres, books, posters, magazines, signs and newspapers. Reading at Brighstone Primary School is taught and celebrated in a range of ways. Some of these are generic across the whole school, whilst others are specific to key stages. These may be implemented by the class teacher or by the LSA, or voluntary readers such as parents and governors. Extra activities to raise the profile of reading, linked to different themes, such as Riveting Reading Pyjama Evenings and Ride the Reading Roller Coaster. 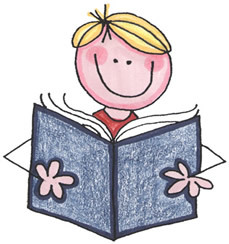 Parents and carers are strongly encouraged to be actively involved in their children’s reading at all ages, by listening to them read, reading to their children, and by promoting a home environment in which books are valued. Click on the picture to learn more about the value of reading to your child. For further information, please see the termly newsletter detailing your child’s learning or the current (Draft) Reading Policy below.